I’m finally getting around to writing another blog after a lot of traveling early this summer. In fact, I just returned from leading an amazing team to Kenya to build a playground for a kids’ home run by Kids Alive in Mitaboni, Kenya. 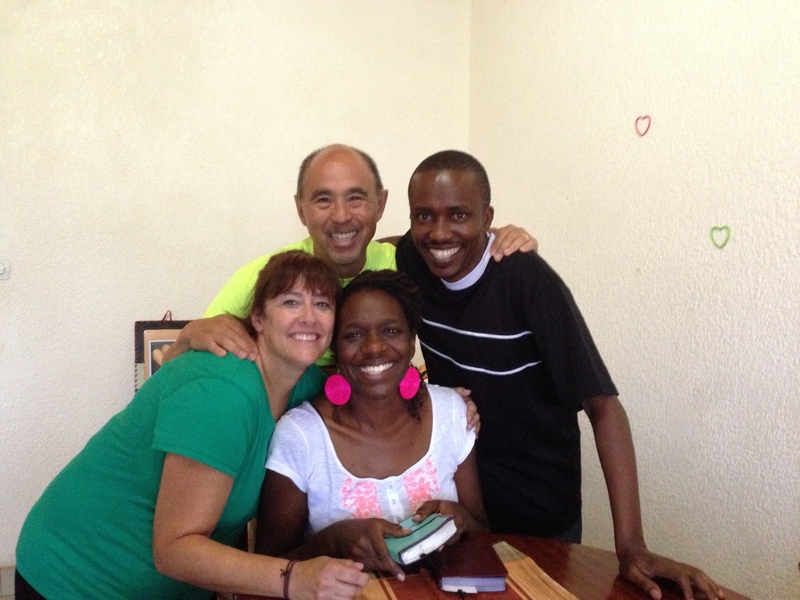 From there my wife and I visited a pastor and his family in Kigali, Rwanda who are planting a church out of our partner church, Nairobi Chapel. Now that the trip is over I thought it would be good (and therapeutic) to post a few of my thoughts about missions in East Africa. In all honesty, the trip was very helpful in shaping my thinking about the value of missions trips to a part of the world that has largely been “reached”. I think I was somewhat right but really wrong in other ways. East Africa in particular has had a Christian missionary presence that pre-dates European colonization in the 1850’s. While colonization of Kenya (British) and Rwanda (Germans and Belgians) did bring with it oppression and misplaced beliefs about Africans, certainly Christian missionary presence had the effect of spreading the gospel, albeit with the sword in one hand and the Bible in the other (as my friend in Rwanda described it). So with that in mind, as a fledgling missionary with Campus Crusade for Christ, when the driving value of reaching the unreached world in our generation became central to my thinking, large parts of Africa outside the 10/40 window were, in my opinion, reached and going there was redundant. Rather than funding more missionary efforts in those parts of the world we should focus our efforts on unreached people groups. After my time in country over the past two weeks, in honestly, I was mostly wrong in my conclusion. Here’s I think where I was mostly right. Africa does not really need the west to come in with more programs and even traditional evangelistic approaches in order to “reach” more. The default mode of our approach on the part of the west in the past has been to continue to approach the African church not in partnership but rather in a position of authority and with money. In other words, we still believe that because we have financial resources and information, we can approach the church in Africa in a parental way as if we are saying, “Let us show you how to do it.” This has a detrimental effect of creating not only a sense of spiritual pride but also can lead to a dependency by African pastors to go for the money. This is not an African problem – it’s a world problem where “money talks” leading to a kind of missional co-dependency. That said, here’s where I was wrong…. we have quite a bit to learn from believers there. While we can partner with them to provide certain resources it is always with a humble spirit coming up alongside them in partnership. African scholar, Lamin Sanneh in his book Whose Relgion is Christianity? The Gospel Beyond the West helpfully reminds us that Christianity is a world religion and with the West engulfed in growing secularism, we can look to places where the gospel is flourishing (Africa and South America) to help us gain theological insight from an African point of view. So while parts of Africa might not need “help” in the way we have provided it in the past, there is plenty of room for partnership, to learn and grow together, while co-laboring together for the gospel. In our case, we have much to learn from those at Nairobi Chapel as we partner with them in church planting efforts in Africa. I was also mistaken in my belief that sending people and resources to a “reached” country is largely a waste of money. 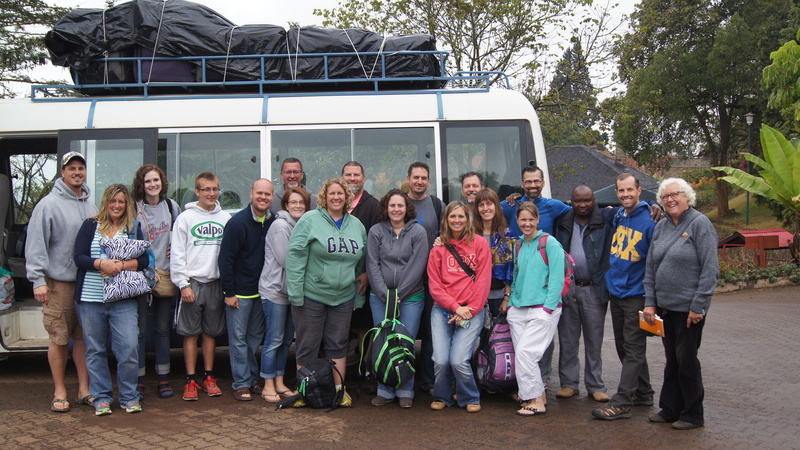 After all, it’s quite costly to send teams to Africa to partner with both Kids Alive and Nairobi Chapel. Why should we send people often at an exorbitant cost when we could just as easily send the money? I used to think that money was better spent, in our case, hiring local workers to construct a playground rather than sending a team of Americans. As I was working hauling cement to fill holes for the playground, I thought about this question. What is it about personally showing up at a higher cost that outweighs just sending money? Of course, giving money can be a good and appropriate action. There is also a level of wisdom and prudence that is necessary in giving. However, personally coming, even at a higher cost points to two things. First, partnership involves being personally present. It’s really hard to capture what it means to co-labor together especially when it comes to “looking after” (James 1:27) the poor and oppressed if we don’t come. Yes, it’s more expensive but actually being present communicates friendship, sharing in joy and burdens, as well as encouragement and support. This was apparent in my time in Kigali with Pastor Nzimbi and his family as “presence” communicated so much more than just mere interest in his church planting effort. Maybe more important, showing up is exactly what God did with us. God certainly could have announced good news from afar and then left it to us to figure it out. But instead we read in John 1, that Jesus tabernacled among us. It is, as my friend Bryan Loritts says, God moved into our ‘hood. The cost to the Father was unfathomably enormous and impractically exorbitant. Yet, Jesus showed up for your benefit and mine. In other words, when we show up personally we follow in the pattern of God Himself when He sent His Son at a great cost. This is the gospel as the Son “comes down” to those who are mired in the poverty of their sin forfeiting all of His riches, becoming poor so that through His going to the cross and His resurrection we would become rich. Good word, Jon. I too have been skeptical of costly short-term missions, but the benefits for cross-cultural discipleship are invaluable. Thanks for sharing your process. You are right on Jon. Thanks for this too Jon. I have personally benefited SO much from spending time in Rwanda a couple of summers and have had conversations that have left me feeling guilty for engaging in short-term trips. I still am in a season of discernment on their purpose but I appreciate your insight and perspective. Blessings.